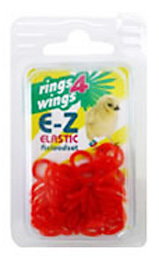 Home :: IDENTIFICATION :: E-Z Elastic Rings NEW !! Customers' have asked us for a product like this for years!! A new concept of elastic rings which can easily be put over the leg of a bird using the specifically manufactured E-Z Ringing Gun.� Thanks to the use of highly elastic material, the rings can expand up to 5 times their original size. ��� with the growth of the bird. �� The rings are very soft and pliable. ��� the fancier with nothing but benefits. ��� requires a way to identify them. Your first order should be a Starter Kit, which includes the applicator gun and 20 of the E-Z Elastic Rings in an assortment of colors.� They come in 6 sizes from the smallest for cage birds and the largest size for poultry or larger pigeons.� When you order the Starter Kit you have what you need in the size you need, and you do not need the applicator gun in the future.� Colors available are yellow, green, red, violet and blue. 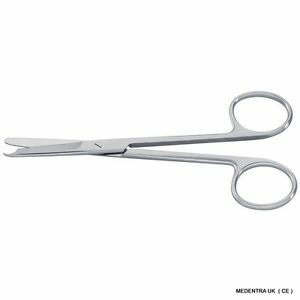 I-2-12 4.5" Band Removing Scissors! NEW! D-3-5 E-Z Elastic Rings Reload Kit Size 4.5mm - 50 rings NEW! D-3-6 E-Z Elastic Rings Starter Kit Size 4.5mm - 20 rings NEW! D-3-7 E-Z Elastic Rings Starter Kit Size 9mm - 15 rings NEW! D-3-8 E-Z Elastic Rings Reload Kit Size 9mm - 50 rings NEW!